Just an ice rink? Nothing else? Albert Einstein once said: “Insanity is doing the same thing over and over again and expecting different results”. That is precisely why Xtraice has once again brought an innovative idea to the market that offers new and impressive results. 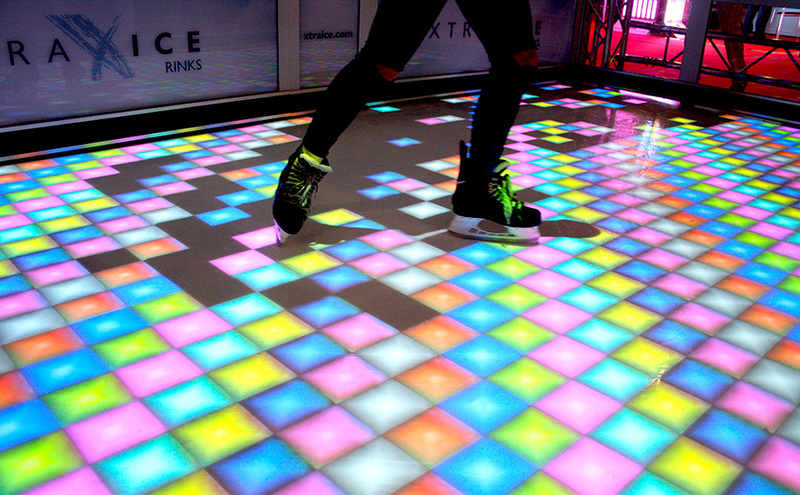 Xtraice interactive ice rinks allow for any idea you can imagine where dynamic light and sound will give your clients an unparalleled experience. In today’s society, where people are increasingly looking to experience unique activities, multisensory experiences have become extremely popular and profitable. Xtraice offers you the ability to add an interactive system to your ecological ice rink to make skating a truly multisensory experience that goes well beyond the activity of skating itself. 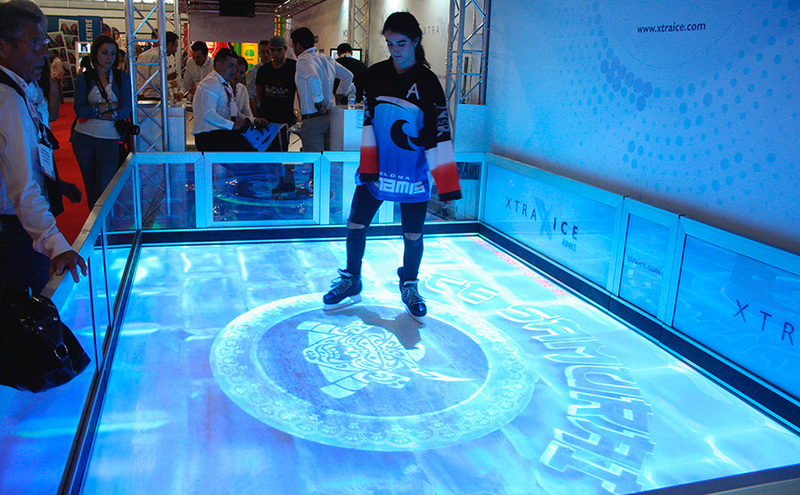 Skaters can interact with the synthetic ice surface thanks to a plethora of games and options to choose from. Within this range of possibilities, our interactive rinks allow your rink to have a hockey surface today and a curling match tomorrow. Additionally, thanks to our interactive system based on motion sensors, the ice’s surface is transformed into a dynamic stage on which the skater can interact with projected images. How about skating over fruit and slicing it into pieces with your skate blades for points? What about dancing while you skate, leaving a trail of light and color in your wake? How about running from a polar bear following you across the ice? Why not interact with your brand’s logo while skaters move across the surface? If you can dream it, we can do it! Are you up for the Xtraice multisensory experience? 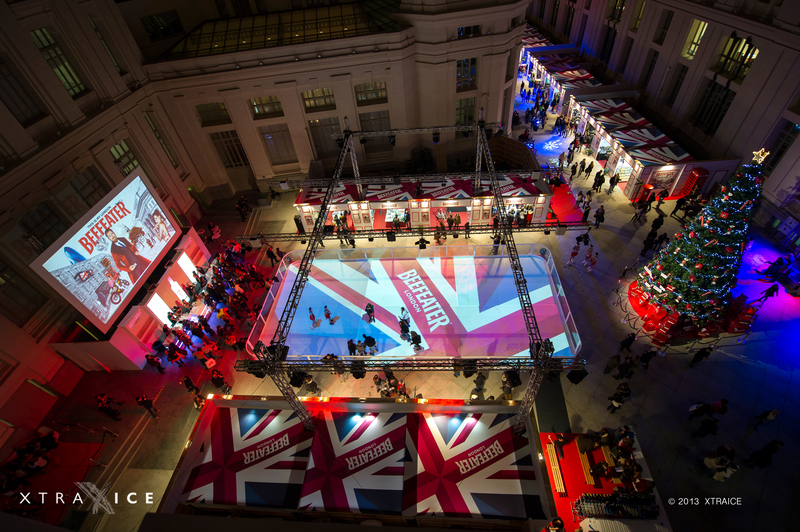 Want to give your ice rink a differentiating feature? Are you willing to stand out? Then this is the product for you! Contact us today!